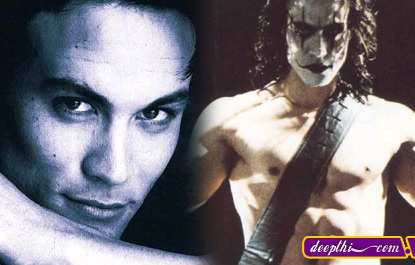 The son of legendary martial artist Bruce Lee and his wife Linda, Brandon Lee did not plan to become an action star like his father. Brandon Bruce Lee was born on February 1 in 1965. He died on 31 March 1993 in the New Hanover Regional Medical Centre in Wilmington, North-Carolina, after a shooting accident on the set of The Crow ... 17 days before he was to be married to his fianc�, Eliza Hutton, in Mexico. On April 3 Brandon Bruce Lee was buried next to his father in Lake View Cemetary, Capitol Hill, Seattle. Black Belt magazine selected Brandon as their Man of the Year for 1993. At the time of his death, Brandon had a multi-picture deal with Carolco and a three-picture agreement with 20th Century Fox ... and a bright future ahead of him. In 1985, after getting his feet wet in several off-Broadway plays, Lee moved to Hollywood. He worked as a script reader before landing a role in the television film Kung Fu: The Movie (1987) with David Carradine. Lee then returned to Hong Kong to appear in the Cantonese film Legacy of Rage (Long zai jiang hu) (1987). Starring roles opposite Ernest Borgnine in Laser Mission (1990) and Dolph Lundgren in Showdown in Little Tokyo (1991) soon followed. His next U.S. vehicle, Rapid Fire (1992), had audiences on their feet with its nonstop fighting sequences (which Lee choreographed himself). Thus, the actor was poised for true stardom when he landed the lead in director Alex Proyas' The Crow. It was his dream project: An adaptation of James O'Barr's graphic novel, The Crow promised to combine Lee's captivating stunts with a brooding gothic atmosphere and a tight revenge-driven story line. He was shooting his character's death scene on location in Wilmington, NC, when an improperly cleaned prop gun fired a dummy tip into his midsection. The tip tore through Lee's abdomen and lodged in his spine. After losing a considerable amount of blood, he died on the operating table at New Hanover Regional Medical Center at 1:04 P.M. on March 31, 1993. Lee, who had planned to marry his longtime girlfriend that April, was laid to rest next to his father at Lakeview Cemetery in Seattle. His friend Polly Bergen held a memorial service for Lee at her California home. Over 400 people showed up to pay their respects to the young actor, including Kiefer Sutherland, Steven Seagal, David Hasselhoff, and David Carradine. After much deliberation, Proyas and his production team finished The Crow as a tribute to its star. Distributed by Miramax, the film opened in 1994 and sold out theaters across the nation. It amassed quite a following, inspiring a television show and two sequels and transforming Lee into a cult hero.